Still reigning supreme Queen Bee of 'Shade,' Leakes took the opportunity to poke fun at her rival and former bestie, Cynthia Bailey's, "Real Housewives of Atlanta" salary. The reality star also revealed that she felt 'bad' about Phaedra Parks' husband, Apollo Nida, eight-year prison sentence. "You know, I know he committed a crime, and we know all that, but I feel bad because I really like Apollo," NeNe said. Andy also asked NeNe whether she has reached out to Phaedra, she admits, "It’s 'kind of uncomfortable' to talk about Apollo’s jail sentence with Phaedra. I don’t know how to like… ‘Hey, Phaedra, so, Apollo got… how many years, girl?’ Like, that’s so not a conversation. So we didn’t talk about that. I feel bad for her," NeNe explained. Lewis also chimed in to throw a little shade at Apollo. "My credit card was stolen recently," he whispered to NeNe. "I was wondering if you could ask Apollo for it back?" kinda funny if you ask me. 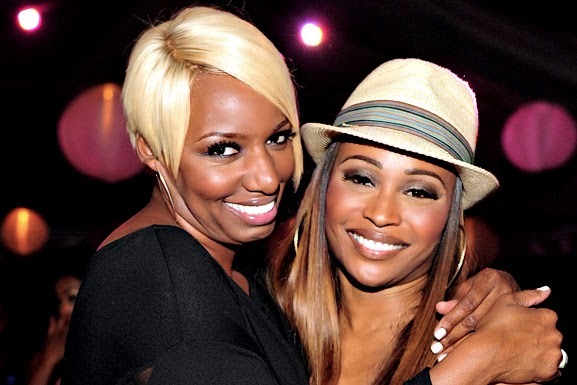 And when asked by a caller what is the current state of her friendship with cast mate, Cynthia, With a little help from Lewis, NeNe reveals why at this point she can’t be friends with Cynthia. She also takes a jab at Cynthia’s RHOA salary. "There’s no friendship and there will not be. No, I am so done with her. I don’t even have words for her. We had a real friendship and I don’t play those games. We had a real friendship, I really loved her and I feel like if she a issue with me, I don’t understand somebody waiting six months to have an issue with you. Come over your house, eat your food, go to the hospital, go to the fashion week with you, travel for New Years and then all of a sudden sit on a couch and make up some isht. She blindsided me sitting on the couch." "NeNe, Cynthia But she clearly loves you and I’m wondering if you can find it in your heart to forgive her. I can forgive her but I don’t want to have a friendship with her, ok? So I know you only get to see one side of it. You have to know the whole story. How dare you be my good friend and I be there for you and you wait six months to tell me I did something wrong in front of people who don’t give a damn about our friendship? If you were a true friend, you could have called me up and said, ‘Hey I need to talk to you. Come to my house, let’s meet, let me come to your house.’ Why would you bring this up in front of people who don’t care about our friendship one way or the other. Jeff pleaded with NeNe to at-least hear Cynthia out, but NeNe shut that down by saying; 'No, I can't hear that b*tch out,' adding, "I can forgive her but I don't want to have a friendship with her," she said. Still torn by Cynthia's loyalty, NeNe adds, "How dare you be my good friend and I be there for you and you wait 6 months to tell me that there's something wrong in front of people who don't give a damn about our friendship?"